Venice is more than any one thing. For costumers and clothiers it is an amazing city that has an astounding history with many wondrous things to see, arts to touch and passionate people that want to share. While researching our trip to Venice, again and again, I came across people saying, “just get lost.” So mostly we took this to heart and just wandered the streets, ensconced in the rhythm and texture of this ancient city. Saying that, we weren’t complete bohemians… we did do a little research before hand! We scoured the internet and the lesser known guide books to see what they recommended for truly unique experiences not to miss. One of the big things to know about Venice is if you want to see anything off of the main tourist path, you will have to book appointments at least a week or two before you leave. Many of the most rewarding and special things to do and see in Venice are only available by appointment. It’s a great way to create a one of a kind travel experience. And me, being a costumer, had a certain theme in mind… it may or may not have been me draped in opulent yards of vintage fabrics being rowed on a gondola down the grand canal! 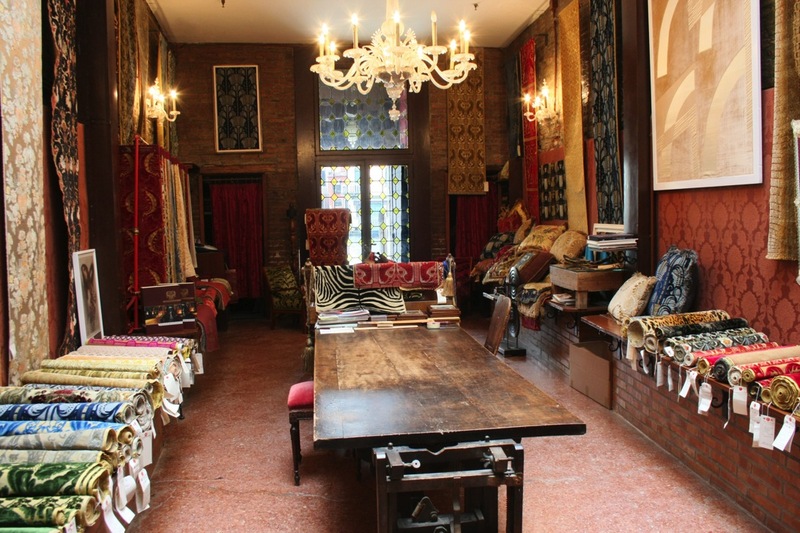 We sent an email to Chiara Kilinger Mazzarino, manger at Rubelli, and we were able to book an appointment to see the Rubelli historical collection. We met with Sara Boatto our guide to the archives. 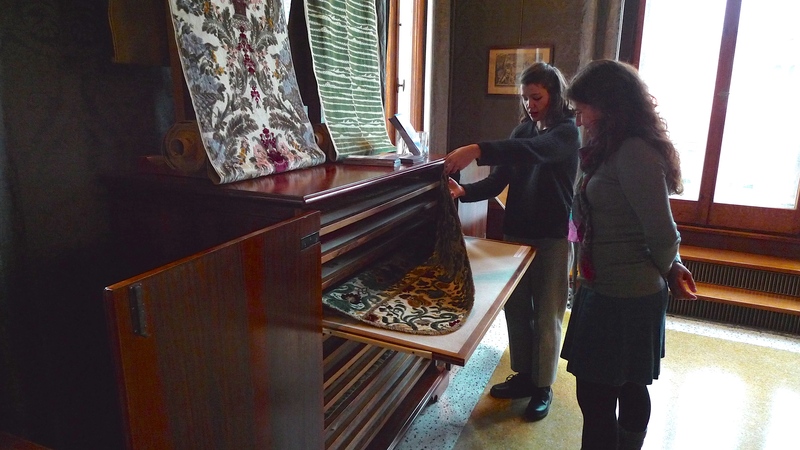 She showed us stunning fabrics and historical pieces from the 16th century forward. 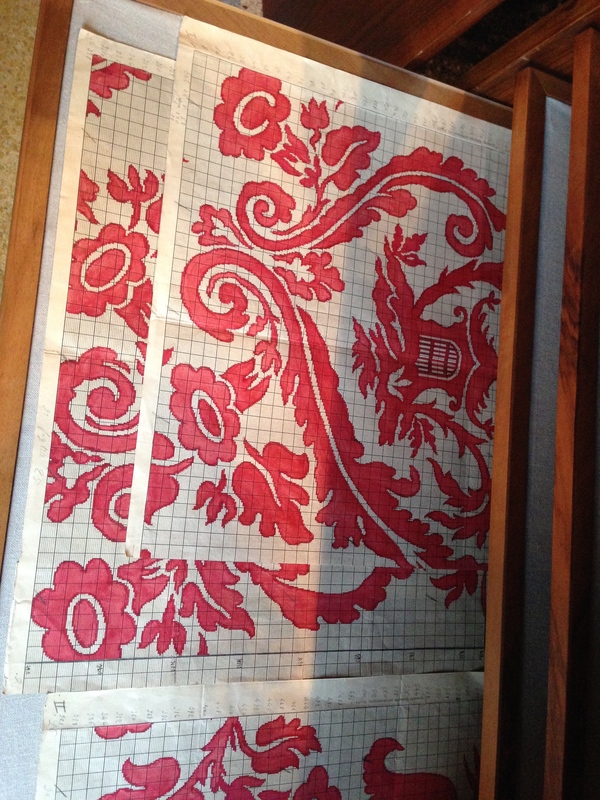 Looking at a small grouping of fabrics and pieces from the 1700’s with Sara Boatto. Many of the vintage peices had been repurposed: a 17th century gown that had fallen out of fashion was repurposed for church vestments of the same time period. It was amazing to see the deconstruction lines of the original garments and repair work needed to recreate the flat fabrics. Circa 1740-1760. 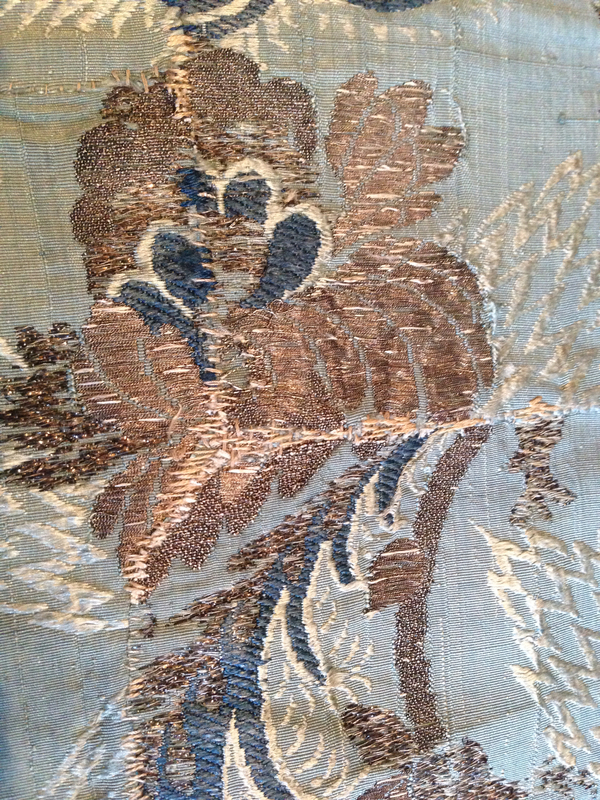 In this piece you can see the repair work that was used to restore the fabric into a flat piece. What a great thought that a wealthy courtesan passed on her lavish gown to the rather uptight church for use as their alter cloths. The collection included much more than the historical archives. 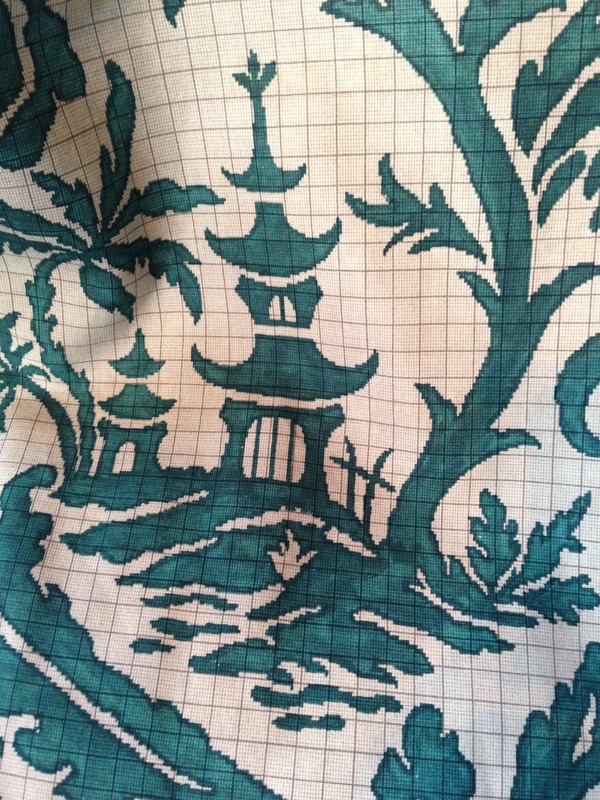 Sara also showed us what went into their line of fabrics for the 2014 season… very much an homage to a bygone era. In this first image below, instead of reissuing the identical weave from the original pattern… yes, they have the original patterns from the 1700’s as well… in the new fabrics they’ve matched the look of the time-worn aged velvet. The green and gold is a fabric in the archives from the 1700’s – 1800’s. 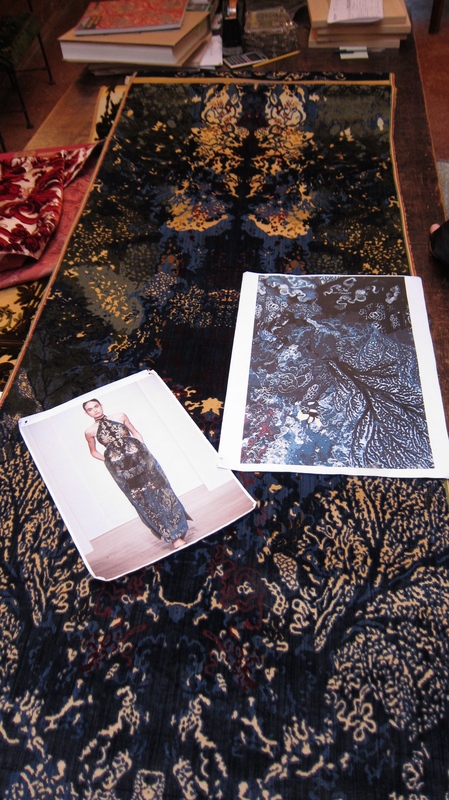 For the 2014 Collection, they have woven the fabric not from the original pattern, but to create what it looks like after a life of wear and tear. Stunning! As a salute to the pattern creators of old, Rubelli issued a fabric that is a match to the original hand drawn fabric pattern. Original paper patterns from the 1920’s. I know that the above pattern isn’t the same as the fabric pictured below, but what can I say, I was excited to see it all and didn’t get photos of everything!! 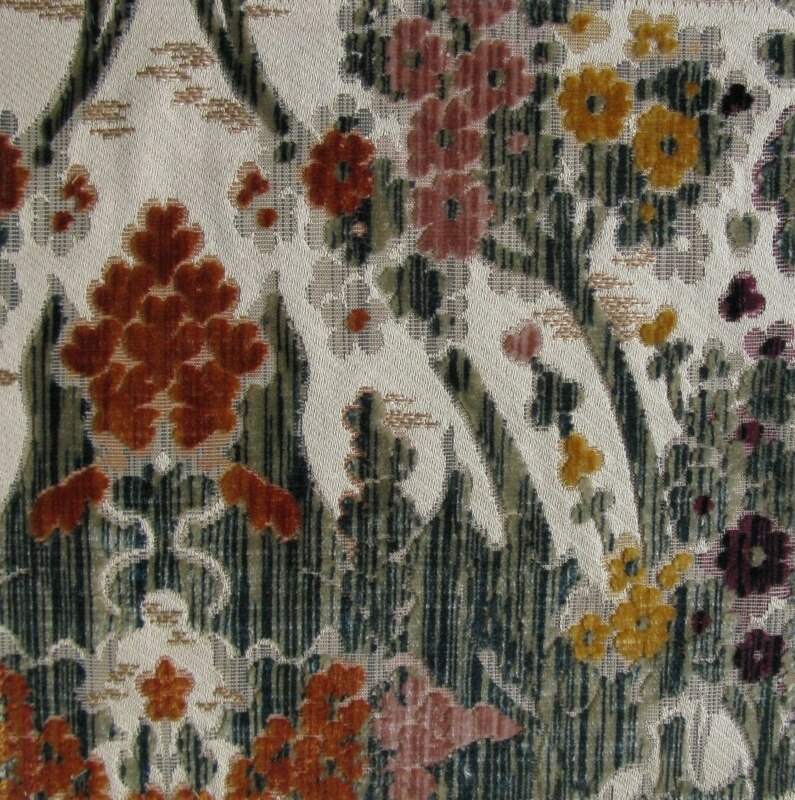 2014 collection fabric inspired by the paper patterns from the 1920’s. Note the draft line details kept from the hand drafted paper patterns. 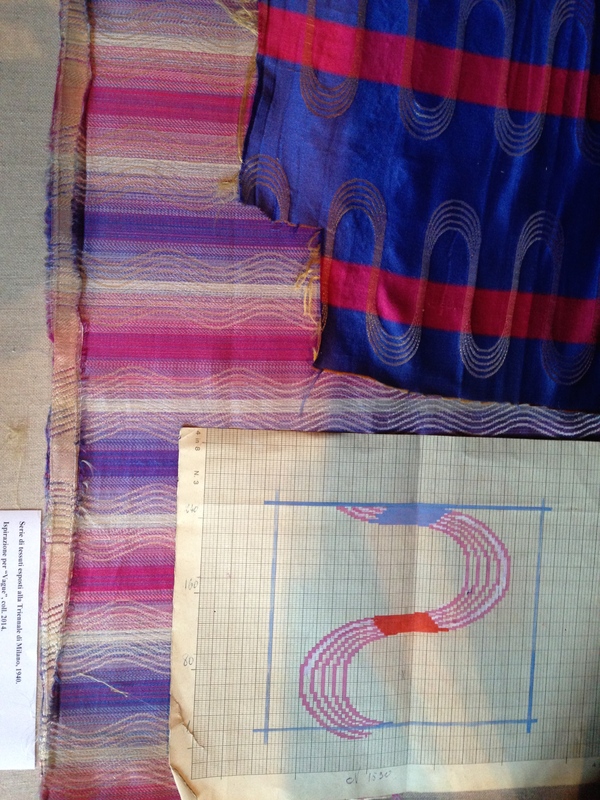 Original fabric and paper patterns from the 1940’s. 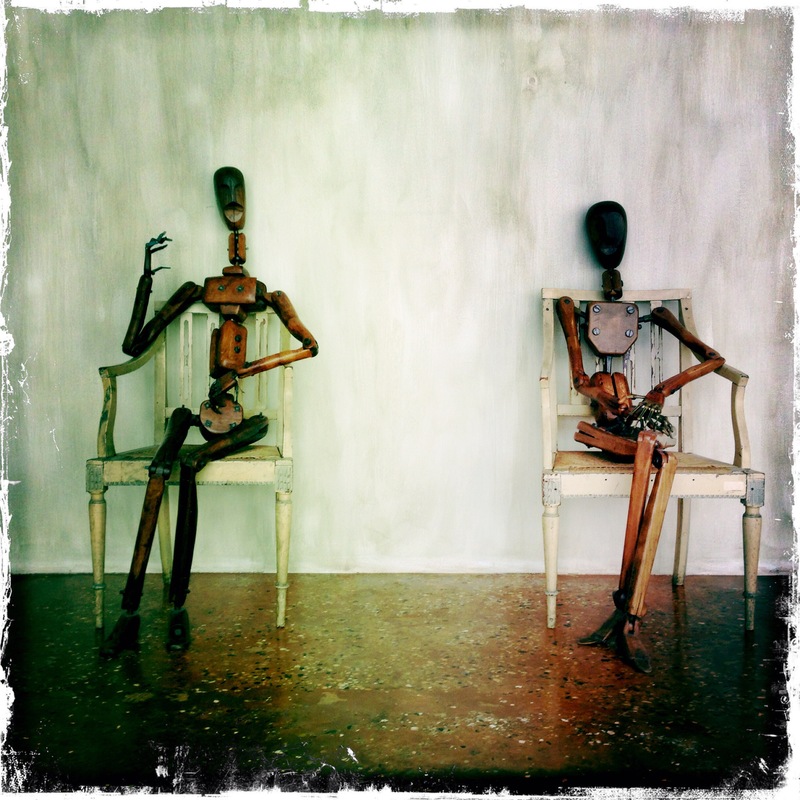 Rubelli has regular art exhibits. Although we had just missed the one wrapping up we were lucky to be able to see a few pieces that were still on display. 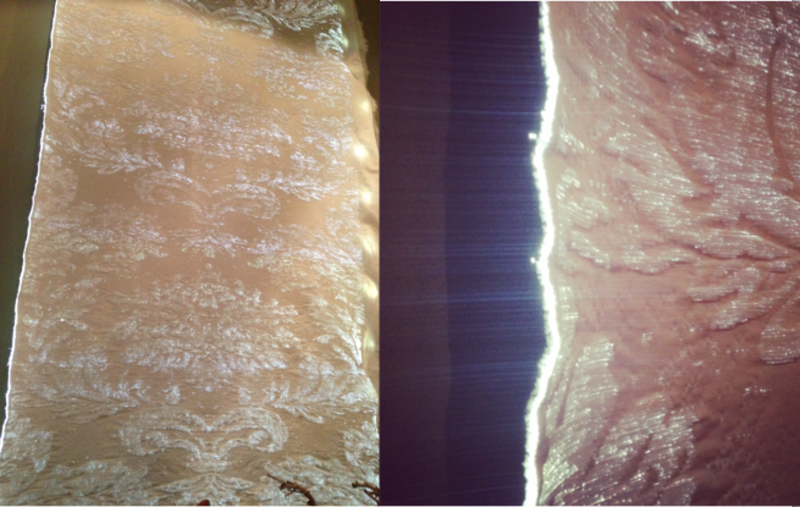 This is an amazing Jacquard tapestry woven with white silk and fibre optic threads by Alessia Neiro. The piece was glowing on the wall when we came around the corner… very magical. That would be a statement piece in any home! Out of the museum and on to the streets, we spent an enchanted evening with Monica Cesarato for a historical walk and cicchetti tour through Venice. She was wonderful! It was like catching up with an old friend, but one that knew where all the best food was! It is truly a gift to encounter and learn from people that are very passionate about their city. We walked, ate, drank and talked about many things. She was a wealth of information and gave us some great tips on whom to talk to about the costume history of this secret city. 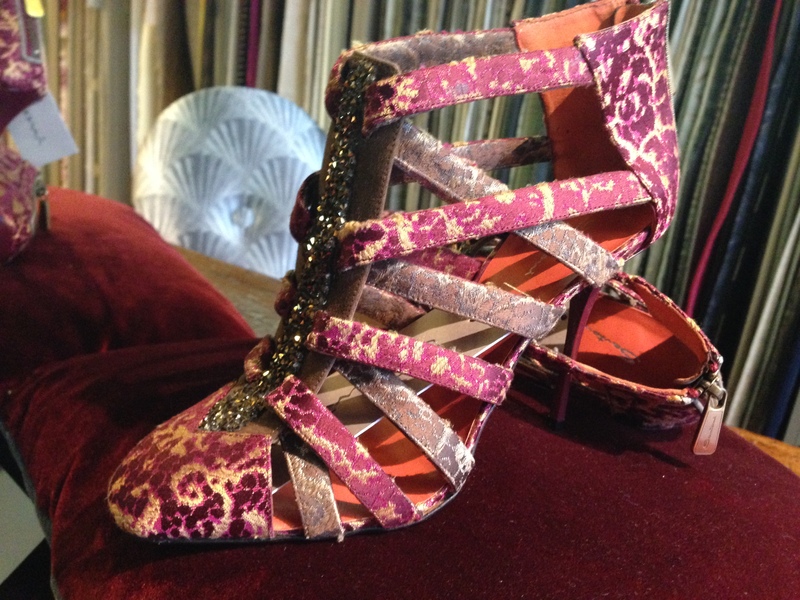 … and what better way to window shop after dark! This amazing hair salon was just waiting to be discovered down one small street, loved the window display. Not something I see at home on the street! Next day on Monica’s recommendation we headed off to Venetian Dreams, a bead and art shop in our neighbourhood, to chat with Marisa Convento. She was so gracious with us; we spent an hour in her shop on a busy work day. We talked of all kinds of traditional and ancient crafts including the dying art of the hand made glass seed beads and how the ladies of Morano would sit and string the beads for hours on end. 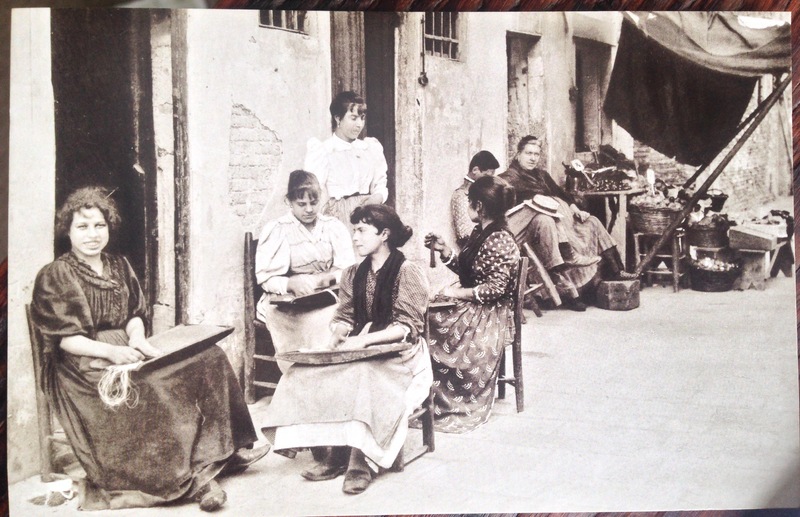 I found this fabulous post card at Acqua Alta book shop that shows the ladies stringing Murano hand made glass seed beads. This inspired a great trip to Murano to see the glass blowers working their ancient art, and a wander thorough all the stores to peek at the creations on display. Yes, it made me want to take a class when we got back.. And now I want to take another! 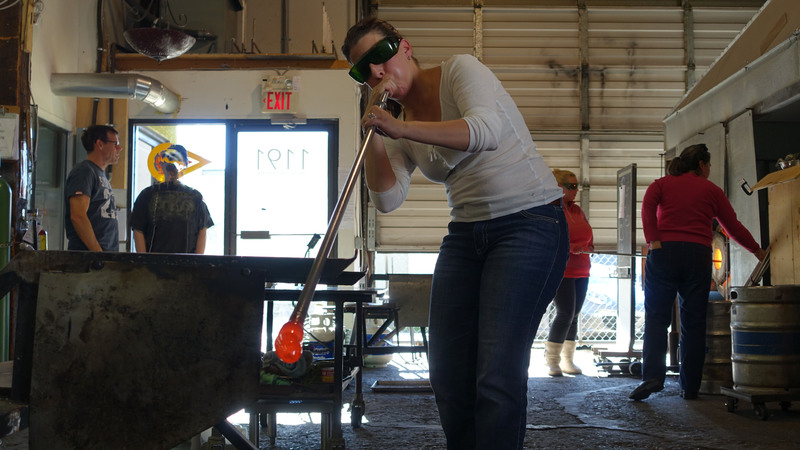 Glass blowing beginners classes at Terminal City Glass Co-op in Vancouver BC. A. Eat ice cream in the rain. B. Wake up early and see the sunrise without all the tourists. 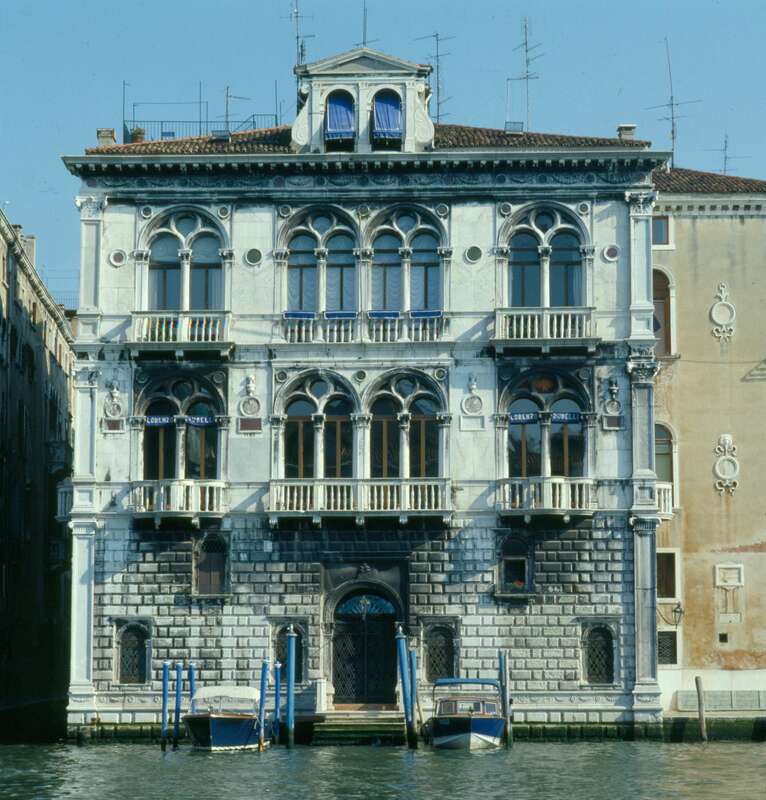 C. See all the infamous icons of ancient and world renowned Venetian textile industry. I was sure it wasn’t going to work, but both Monica and Marisa had said to try! 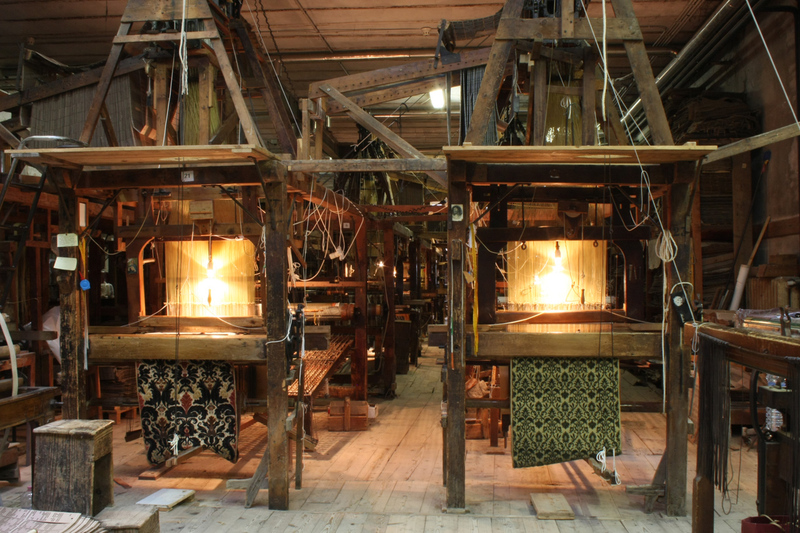 So on our last day in Venice I just thought, why not, and I sent a email off to Luigi Bevilacqua to see if I could get a behind the scenes tour of their silk looms. And all I can say is I am so very happy that I did. It was awe inspiring! 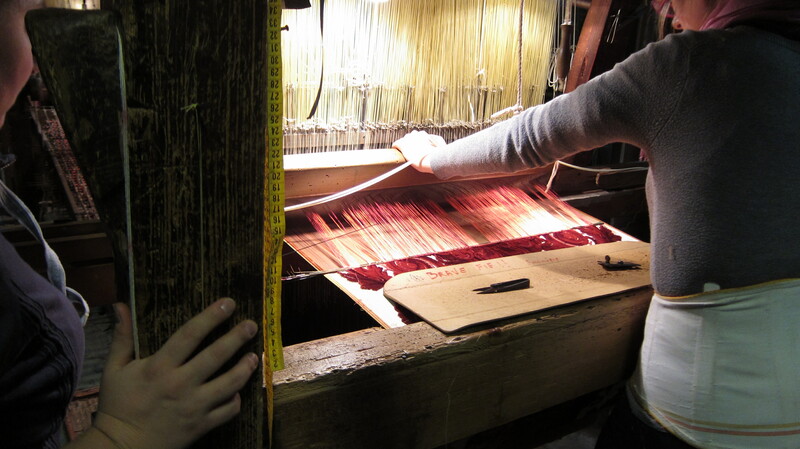 The Bevilacqua looms have been in use since the 1700! 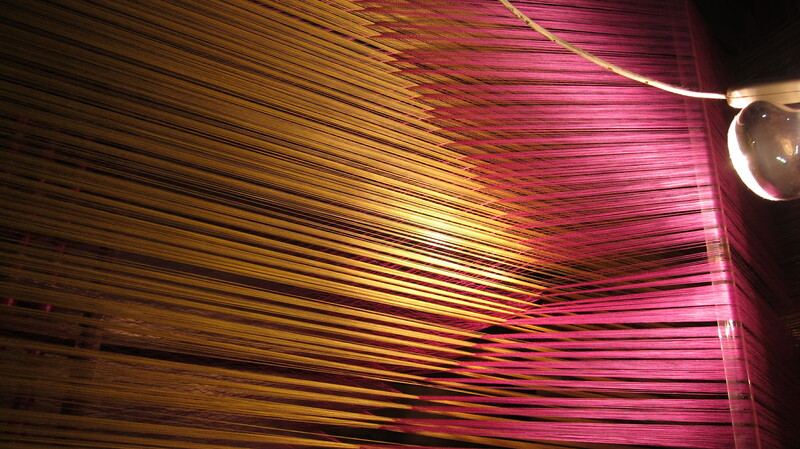 Gold and pink silk threads glowing under the work lights. 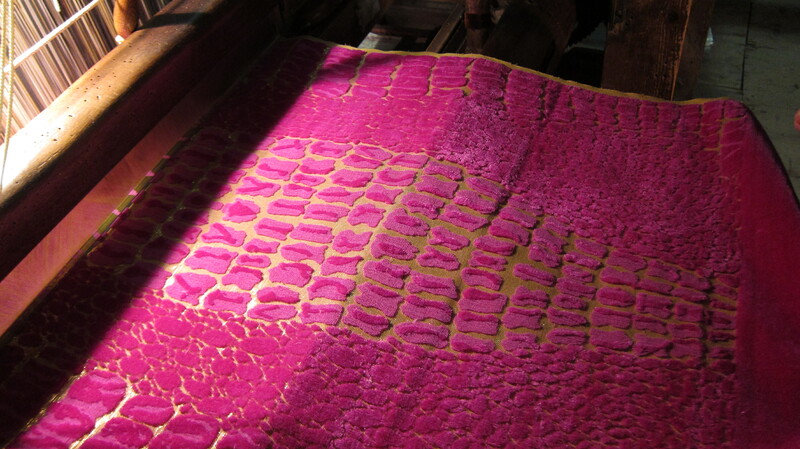 Gold and pink hand woven silk velvet alligator print, what more could a girl want? Ladies weaving fabric for the Kremlin. The intense physical labour involved in hand weaving these special fabrics means the ladies are only able to create about 1 yard of fabric per week. This is being created for chairs in the Kremlin. 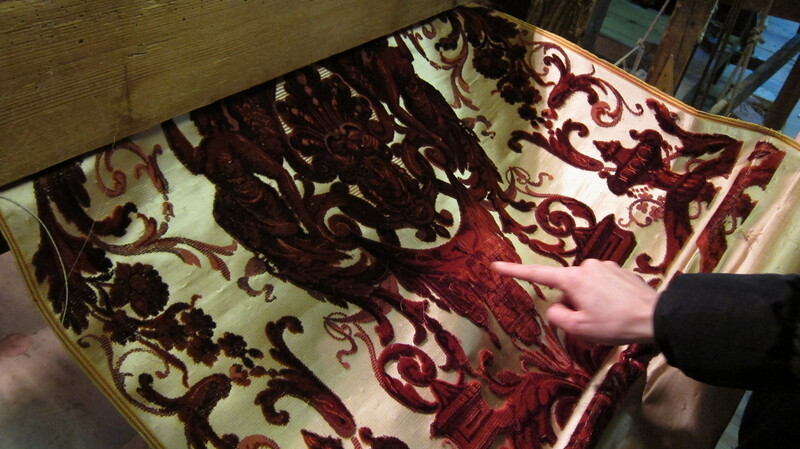 I can’t imagine sitting on this stunning fabric! 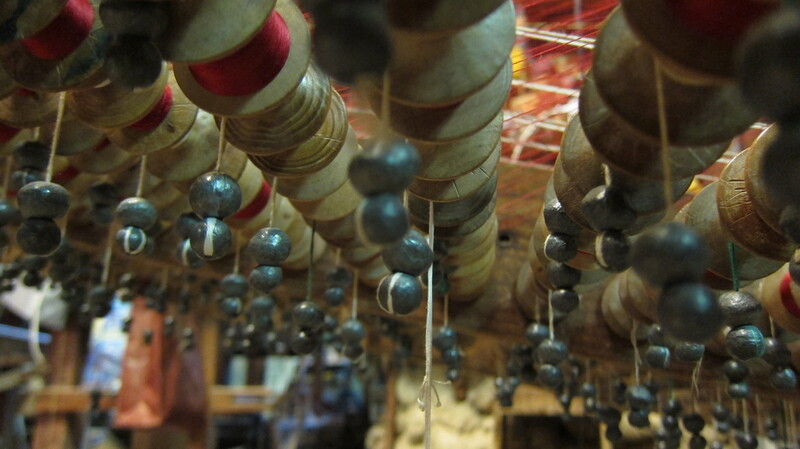 Counter weights on the silk bobbins below the looms. 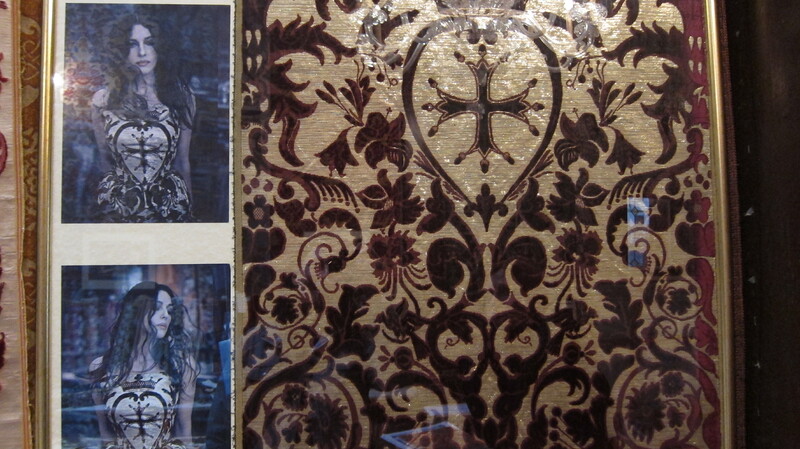 Gold metallic and burgundy silk hand woven velvet for a Dolce and Gabbana dress. 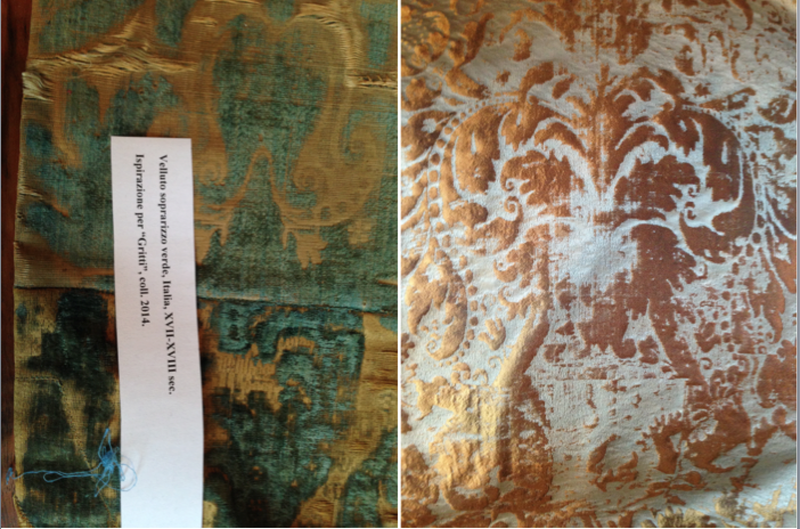 Four colour woven silk velvet. Machines are only able to weave three colours and they can not add raised knots. Hand weaving can create a depth a machine is unable to. 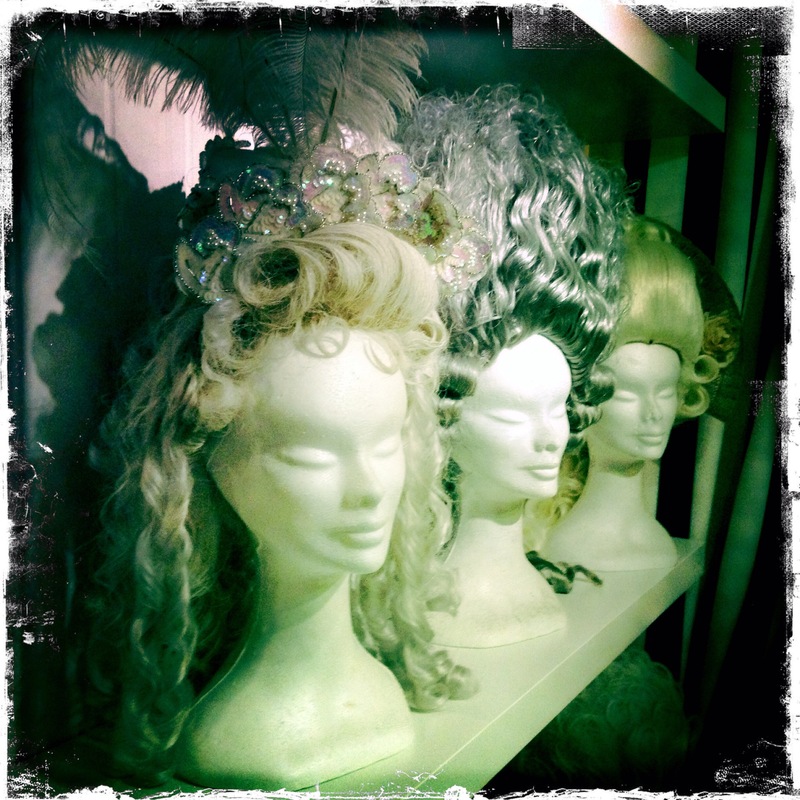 The display room…. I was able to photograph and touch! Wow what a feeling! Specialy woven for an artist. She brought in a painting of her own and worked with the artists at Bevilacqua to have the fabric woven. It is stunning and magical all woven into one. Be brave enough to dip your paddle in a travel to adventure. Venice is a stunning city filled with beauty, magic and fabulous costumes at every corner. Thank you to every Venetian that gave of themselves, that shared their stories and their passion. If you are lucky enough to travel do it and do it well! Just remember every place is beautiful, you only have to take the time to look close enough! Okay Row Venice isn’t a costume thing but I am so sharing this one! Amazing! 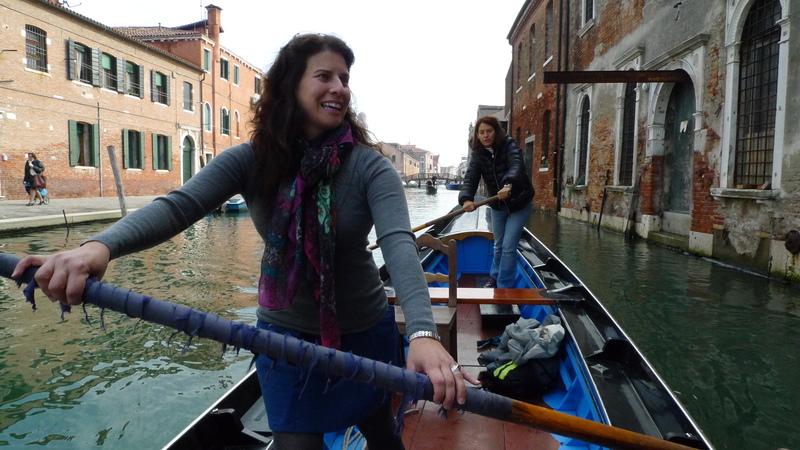 If you are thinking of a trip make this a must on your list and book a few hours with Row Venice and see how the women do it! This entry was posted in Uncategorized and tagged Bevilacqua, Clothing, costumer, costumes, education, Fortuny Museum, Marisa Convento, Monica Cesarato, research, Row Venice, Rubelli, VeneticanDreams, Venice by dontshootthecostumer. Bookmark the permalink. Thanks for sharing ! terrific opportunities for you both. How honored we are to be in the same post with Rubelli and Bevilacqua. Thank you so much! Beautiful post , very well written ! grazie mille, hope to see you again in Venice for more adventures ! Thank you thank you thank you – it was a real pleasure taking you both around! Hope to see you back here soon!